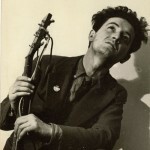 Woody Guthrie would have been 100 today, and the folkways are imploding a bit as they celebrate the man who practically defines 21st century folk. But we’ve gone there already: a few weeks ago, in announcing the release of Little Seed, Elizabeth Mitchell’s wonderful new tribute to his children’s songs; in a comprehensive feature on the Guthrie family legacy back in 2010; in a score of other posts, as the modern inheritors of the singer-songwriter mantle have interpreted the songs of Woody Guthrie over and over again. Indeed, the Guthrie songbook is thick on the ground in a folkblog by definition, so covered are his songs, so beloved is his work. And the man himself wouldn’t have had it any other way: as his oft-repeated anti-copyright notice, designed to encourage reuse and modification, states: This song is Copyrighted in U.S….for a period of 28 years, and anybody caught singin it without our permission, will be mighty good friends of ourn, cause we don’t give a dern. Publish it. Write it. Sing it. Swing to it. Yodel it. We wrote it, that’s all we wanted to do. Still, turning 100 isn’t something that happens every day. So in honor of his birthday, we’re offering a full mix-tape sized coverfolk collection, comprised of both Woody Guthrie covers that have previously appeared on this blog and a few rarer and more recently collected covers that fill out the edges quite nicely. Unusually, our set is designed to be listened to in order; if you haven’t done so already, a quick installation of the exfm browser extensions for Chrome, Safari, or Firefox will let you stream embedded links here and elsewhere while you consider which to download for posterity’s sake. Woody would have loved it. Aching for a bit more context? 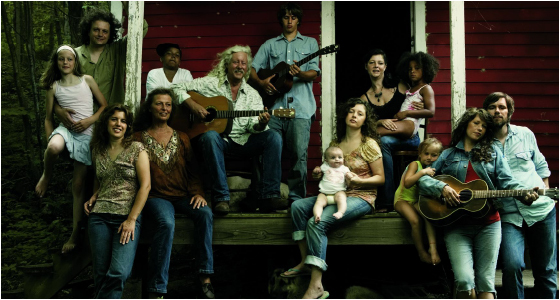 Head back in time for a deeper treatise on the Guthrie legacy and a whole mess of coverfolk links of and from various members of the Guthrie clan! Dylan, Guthrie, Townes, Springsteen, Joe Ely & more! 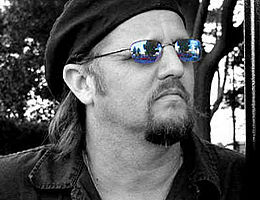 Texas-born, Oklahoma bred singer-songwriter Jimmy LaFave is a regular on the Northeast festival circuit; I’ve managed to catch his act many times in the last two decades, on main stages and side sets, and I’ve never failed to be impressed. But that first time was a revelation, serving as a potent introduction to the crossover country/folk Red Dirt subgenre, and – more significantly – to the historically-grounded poetry and achingly vivid performance of a folk artist who remains one of the most respected songwriters and interpreters in his field. LaFave isn’t a melodic performer: that inimitable voice is broken and pained, and that’s part of its charm and its power. 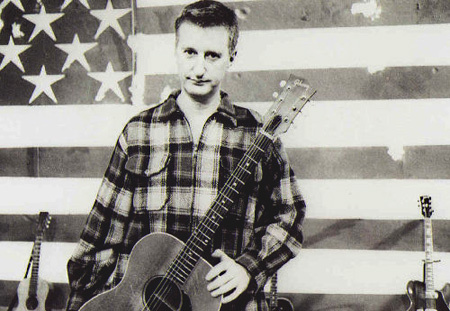 Though his work includes several hard-driving, full-band albums that, stylistically, mix rock, folk, rockabilly, and country, in his most potent output he tends towards the countryfolk ballad, wringing emotion like water from every line through a unique combination of inflection, strum pulse, and nuance, even when covering songs that are predominantly metered or rock-rhythmic in the original. But unlike many singer-songwriters who regularly incorporate other artists’ songs into their sets, LaFave’s coverage is narrowly defined, predominantly focused upon a small set of influential artists who, like him, address pain and loneliness through simple melody, wailing vocals, and stark, poetic dustbowl lyricism. In many ways, this makes him a sort of performing ethnomusicologist, one whose study of Dylan, Guthrie, and other early, seminal members of the folk revival and their influence is a natural extension of his own work. To steep in his original songcraft is to steep in the history of a region and its cultural influence; to listen to LaFave’s coverage in this context lends credence to and layers new potential onto how we understand his own songwriting. LaFave lives this connection to history thoroughly, wearing his influences proudly, including covers on almost every album, and throughout his sets. Indeed, his coverage of Dylan is legendary: LaFave includes a Dylan song on almost every album, and released a full dozen on the powerful two-disc set Trail in 1999; I posted a six-song set of these back in the summer of 2010, claiming “the man covers Dylan better than anybody”, and after a year thick with Dylan coverage, I stand by that assessment. Over a three-decade career, he’s taken on a range of artists, too, from Donovan to Freddie King, from Springsteen to Big Bill Broonzy. 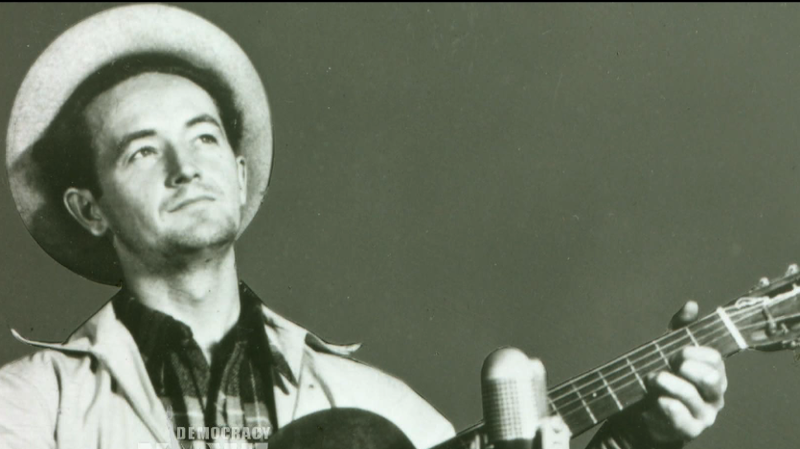 But LaFave claims Woody Guthrie as his musical hero, and, indeed, it is his deep work in and among the songs and songwriters of the Guthrie tradition, guiding the Guthrie legacy, which is perhaps most significant to understanding his particular craft. He has performed at every single Woody Guthrie Folk Festival since its inaugural in 1998 and now belongs to its board of directors, founded and produced the 2003 nation tour of tribute show Ribbon of Highway, Endless Skyway with fellow Red Dirt folk musicians such as Slaid Cleaves, Eliza Gilkyson, Sarah Lee Guthrie, and Kevin Welch, and no less than Nora Guthrie, daughter and guiding star behind the continued legacy of Woody, asked him to speak and perform at the ceremony inducting Woody into the Oklahoma Hall of Fame. This approach to coverage and to artistic connection is more intimate, more substantive, and arguably more genuine than the pop coverage we often feature here on this blog. It is worthy of respect, and of celebration, both for the music it generates in him, and for the way in which it ties LaFave to the larger folkstream, making his own work a continuation of the legacies of others, a guiding star for his peers in the modern movement, and a defining legacy in its own right. 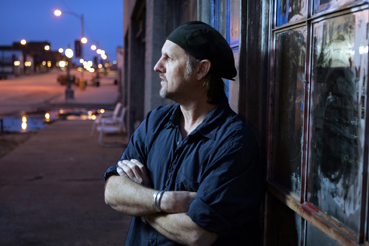 Here, take a listen to the result – just the tip of a huge iceberg of coverage, and a body of work that includes over a dozen albums of merit – and I think you’ll hear that Jimmy LaFave, more than most, represents the pinnacle of what Cover Lay Down promises. PS: want more coverfolk throughout your week, including bonus finds and previews of upcoming features? Why not subscribe to our facebook page?